Berthoud Hardwood Flooring Installers - Speak With Our Expert Flooring Design Team Today! | Mountain Valley Floors, Inc.
Are the tile or wood floors in your Berthoud business looking shabby and worn? Maybe you have reached a point where replacing the carpet in your home makes sense? The floors in your home or office are one of the first things your guests will take notice of, and regardless of whether you need new commercial or residential floors, the team at Mountain Valley Floors is here to help you with all of your flooring needs. To discover why we are Northern Colorado’s Top Rated Local® flooring company, give us a call at (970) 364-2936 today! We’d love to speak with you about your unique needs and style preferences. Our carpet and hardwood flooring installers have been helping Colorado residents get the flooring of their dreams for more than 25 years. We pride ourselves in having a finger on the pulse of the latest flooring styles, trends, and installation methods. When you work with our company, you can rest assured that you’re receiving the best flooring installation services available along the Front Range. 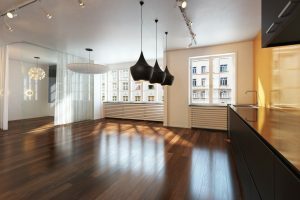 Extensive experience, trustworthy knowledge, and professional installation are the cornerstone of a quality flooring project, but the materials are just as important. We have business relationships with more than 30 of the industry’s leading vendors, and no matter what kind of flooring material you are looking for, you’re sure to find affordable options in our expansive inventory. Choosing the right color, style, and installation methods for your new flooring can be challenging unless you are a highly trained flooring design specialist. Because your complete satisfaction is our number one priority, we gladly provide in-home and on-site flooring consultations, and we offer three complimentary hours of design assistance on all installation projects. Are you ready to transform your Berthoud home or office? Contact our skilled team of tile, carpet, and hardwood flooring installers today to request your free consultation!